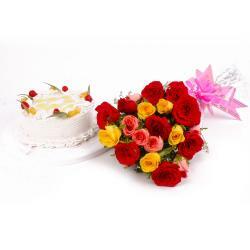 Product Consist : Bouquet of 20 stem Mix flowers Colorful Roses with Gerberas with Half kg Pineapple Cake. 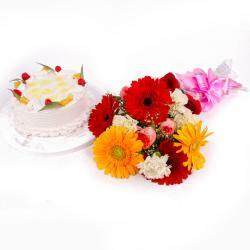 The beauty and sweet smell of the roses with gerberas will surely enthrall your loved ones. 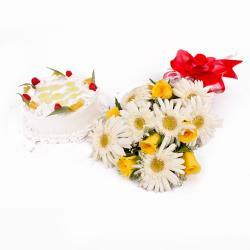 This hamper also includes a delicious Pineapple Cake with will surely convey the message to your loved ones. 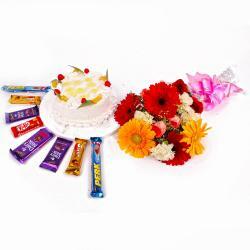 Gift this awesome hamper to your dear ones for to send best wishes on special occasions like birthday, wedding anniversary, Valentine Day, Giving Thank You, Retirement Gifts and so on. So go ahead and book your order now. Along with this, send other Gifts to India through Giftacrossindia.com to be delivered in a safe and speedy mode. 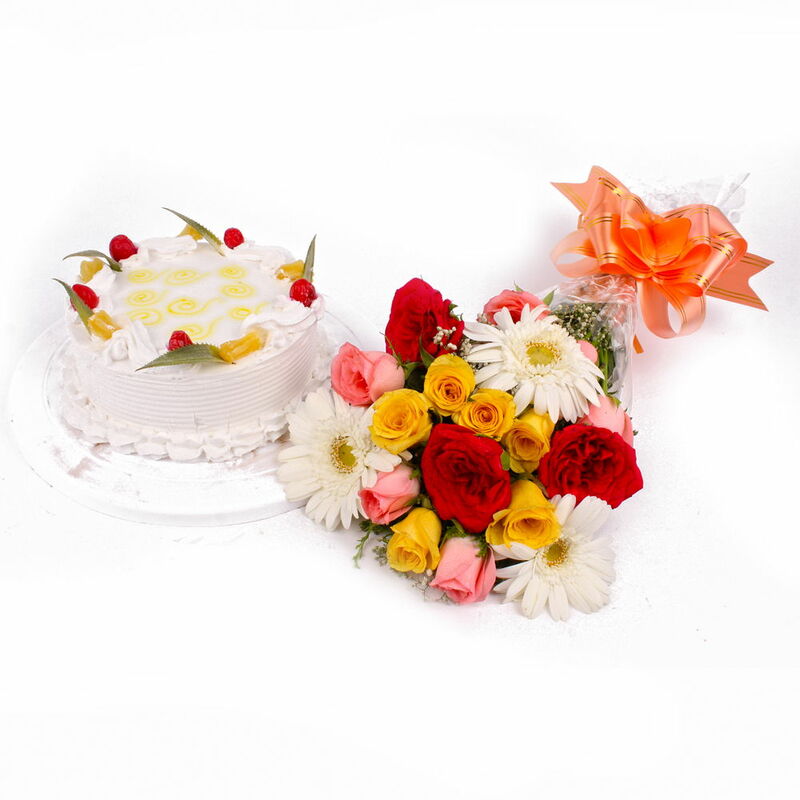 This gift hamper contains : Bouquet of 20 stem Mix flowers Colorful Roses with Gerberas with Half kg Pineapple Cake.